LET’S TALK is a public forum of ideas. It’s a Q&A-style panel discussion focused on the health and well-being of LGBTIQ people. 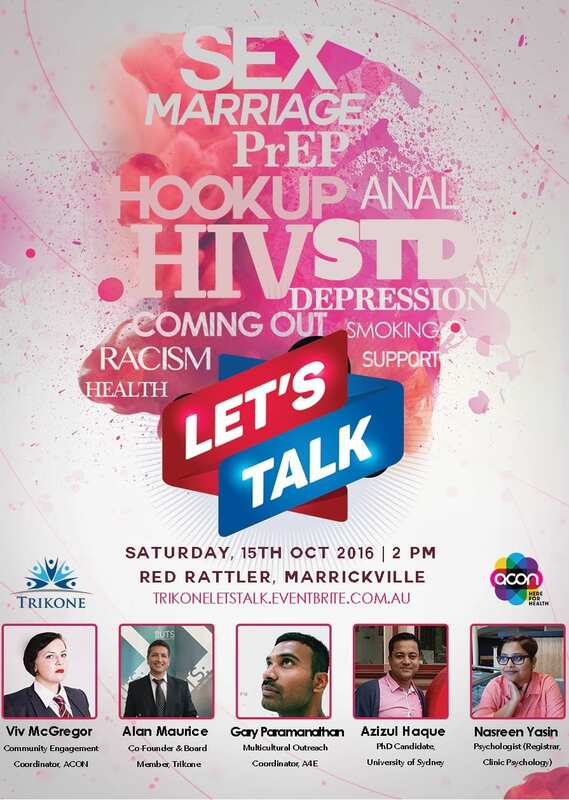 A diverse panel of experts discusses various topics such as sexual health, mental health, STDs, as well as the impact of culture, relationships and the upcoming marriage equality debate on the mental health of the people who identify as LGBTIQ. It’s a thought-provoking afternoon of conversation where people can share thoughts, stories, and insights into their health and well-being. Attendance is FREE.